The key role of the Advisory Board is to provide governance-level oversight, leadership and guidance to ensure that the Conference achieves its objectives. Andrew Jefferies started his career with Shell in Australia after graduating with a BEng (Mechanical Hons) from the University of Sydney in 1991. 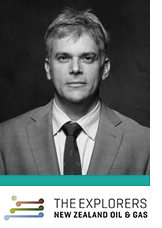 He has worked in Australia, Germany, the United Kingdom, Thailand and Holland, in Operations and Petroleum Engineering – gaining an MBA (technology management) from Deakin University in Australia, and an MSc (Petroleum Engineering) from Heriot-Watt University in Scotland. He joined Austrian Company OMV in New Zealand in 2007 and took up his first role with New Zealand Oil & Gas in early 2013 as VP & GM, Exploration & Production before becoming the company’s Chief Executive in 2016 . 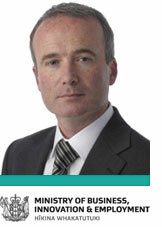 Andrew is also a Graduate of the Australian Institute of Company Directors (GAICD). 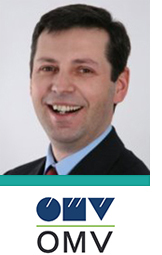 Gabriel Selischi is responsible for the upstream activities of OMV in New Zealand and Australia. He studied electrical & mining engineering and started his professional career with Schlumberger in France. He held a range of engineering, petroleum engineering and consulting roles internationally and most recently held the position of Director of Projects & Engineering in OMV Petrom. He has worked and lived internationally in France, South Africa, Algeria, Angola and Romania. 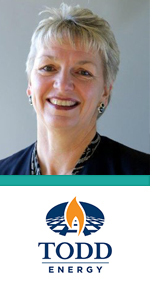 Joanna Breare was appointed Chief Executive Todd Energy in 2014 and in addition to this role, she is Executive Vice President New Zealand Upstream Energy with Todd Energy’s parent company, the Todd Corporation. Joanna graduated from London University with a BSc. (Geology, Hons 1st class) and a PhD (Geology). Joanna has 28 years’ experience in the oil and gas industry with involvement in exploration, development, project management and reservoir geology roles. She has worked in the UK and Vietnam with BP. Joanna migrated to New Zealand in 1997 and was a consultant to Shell, STOS and Fletcher Challenge Energy prior to joining STOS in 2002. During her 12 years at STOS, Joanna has held the positions of Deputy Development Manager, Joint Venture Business Manager and Deputy General Manager with her most recent role being Exploration and Development Manager for STOS and Shell New Zealand. Rob leads the Resources and Materials Department at GNS Science. His Department undertakes scientific research that supports the exploration, development and sustainable utilisation of natural energy and mineral resources in New Zealand and overseas. 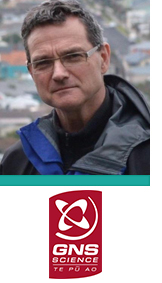 Rob is a geologist with over 25 years’ experience in the resources industry, including as Exploration Manager at the National Petroleum Authority in East Timor, and Manager of Exploration and Mining Services at Crown Minerals (now NZPAM, MBIE). Prior to joining GNS Science in 2015, Rob was Exploration Manager at the Ok Tedi copper-gold mine in Papua New Guinea. He an MBA from Victoria University and MSc in geology from Otago.